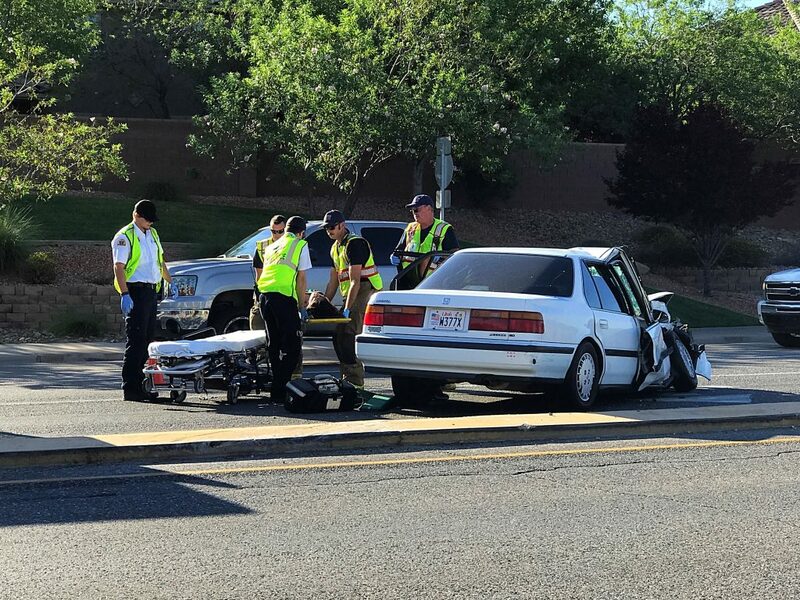 ST. GEORGE — One person was transported to the hospital Thursday following a two-vehicle collision at the intersection of Brigham Road and River Road in St. George. 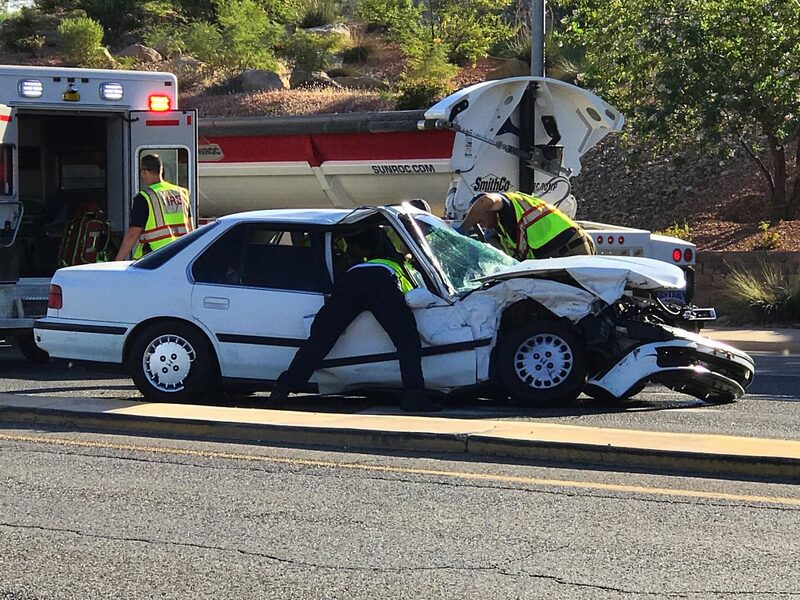 Just before 8:30 a.m., a white 1991 Honda Accord, driven by an 18-year-old woman from St. George, was northbound on River Road, St. George Police officer Lona Trombley said. 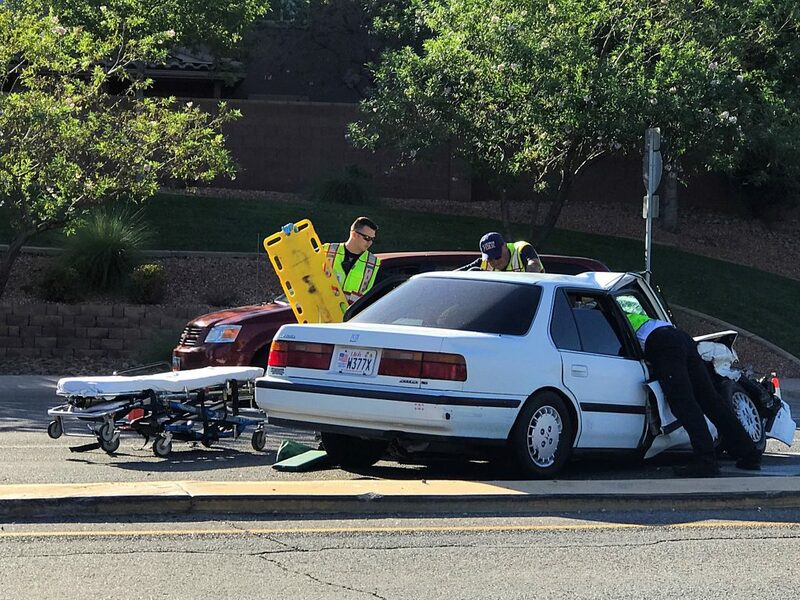 The teen was attempting to make a left turn onto Brigham Road. 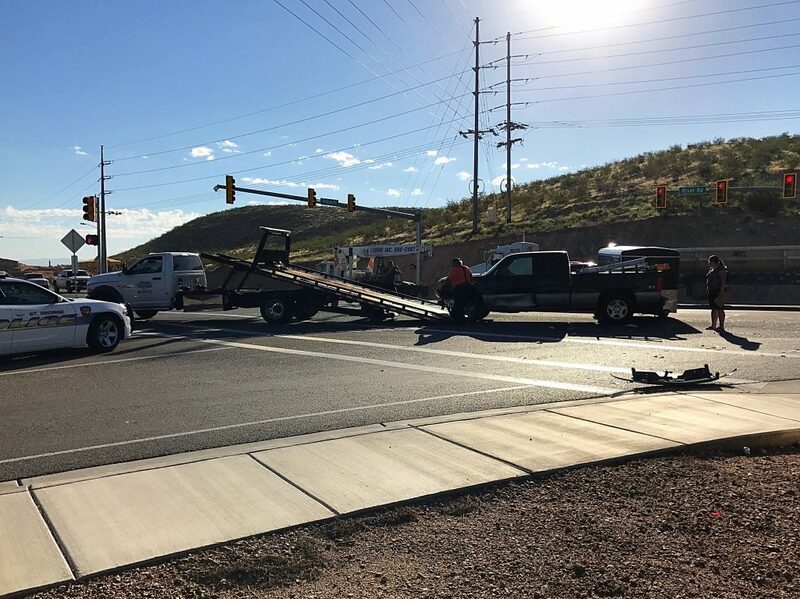 At the same time, a green 2003 Chevrolet Silverado, driven by a 35-year-old man from St. George, was southbound on River Road with a green light. 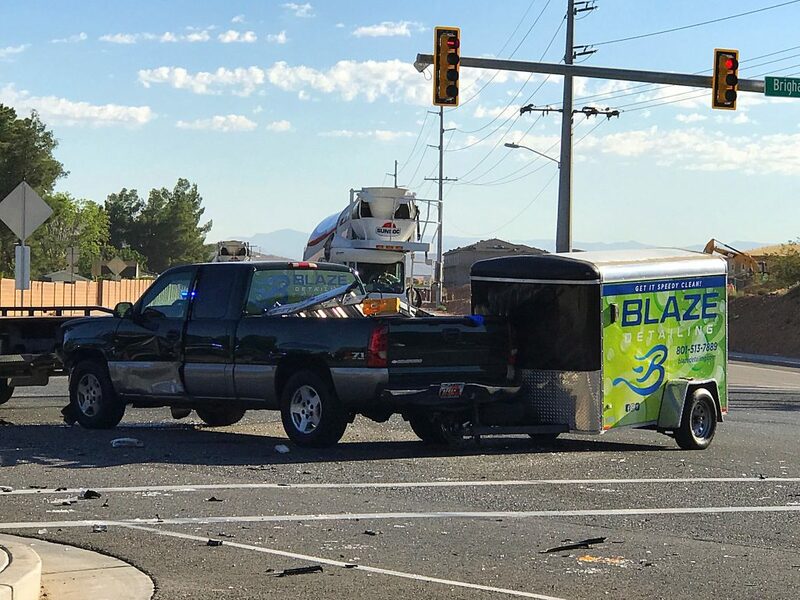 As the man passed through the Brigham Road intersection, the teen turned out in front of him causing the two vehicles to collide nearly head-on, Trombley said. 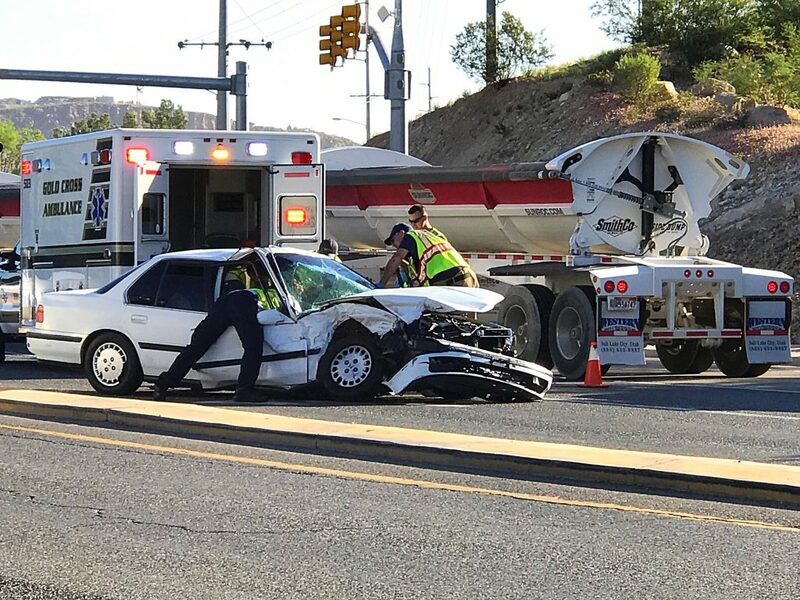 The impact of the collision smashed the front end of the Honda completely and sent the vehicle careening south on River Road before it came to rest in the northbound lane of travel. 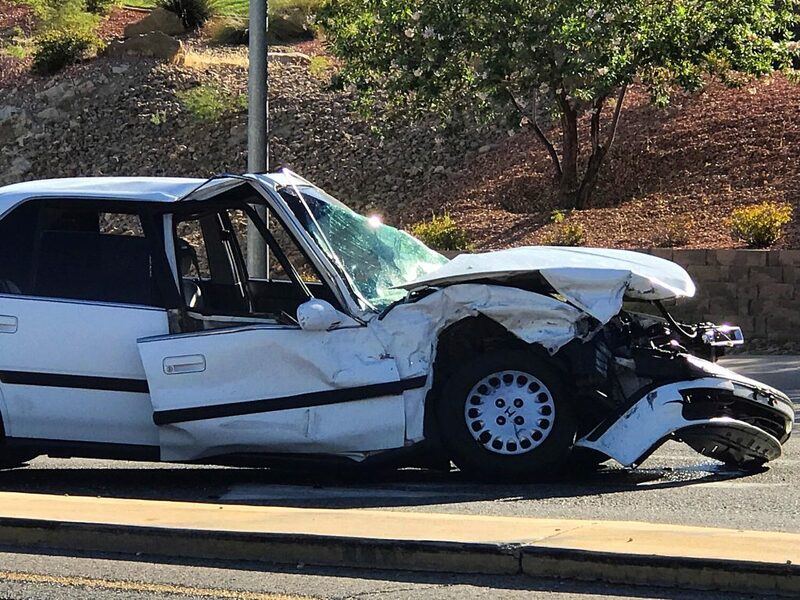 The teen complained of chest pain and other injuries related to her seat belt, Trombley said, adding that the man suffered minor injuries from his seat belt and airbag deployment. 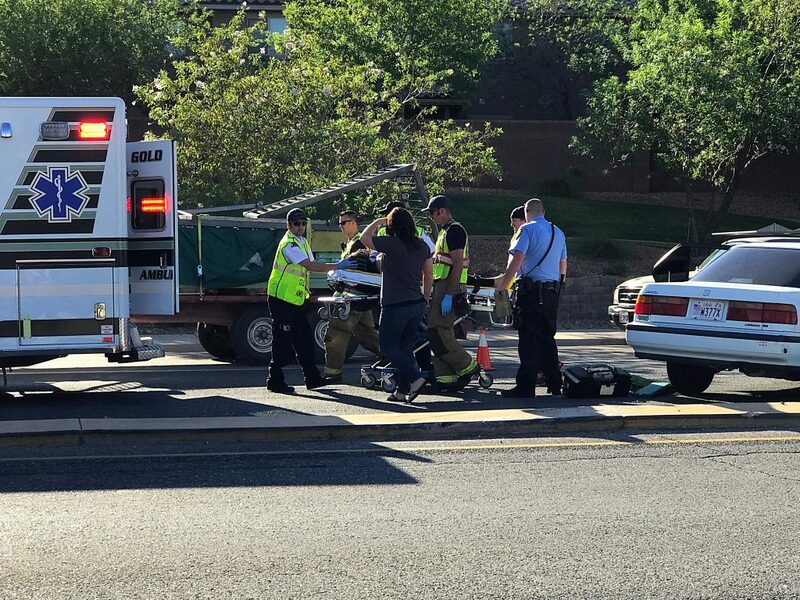 The teen was transported by ambulance to Dixie Regional Medical Center in St. George for her injuries. 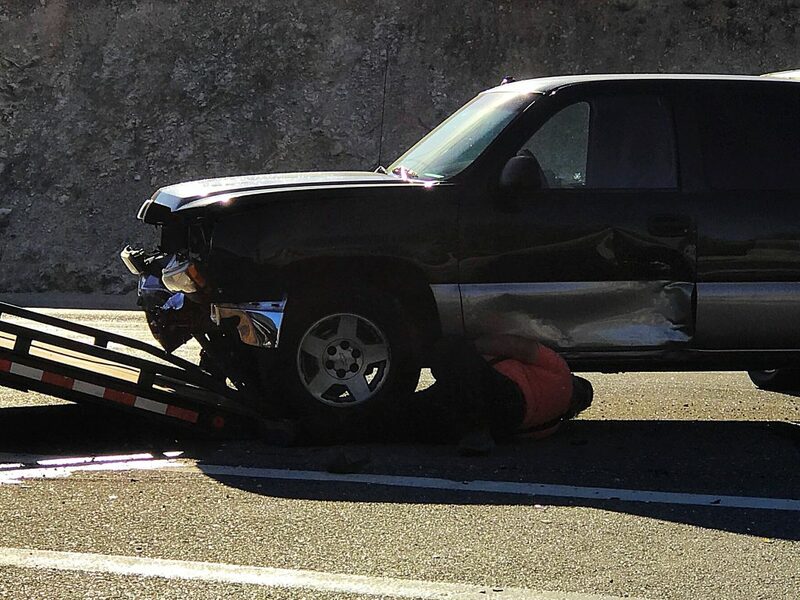 Both vehicles were rendered inoperable during the crash and were towed from the scene. 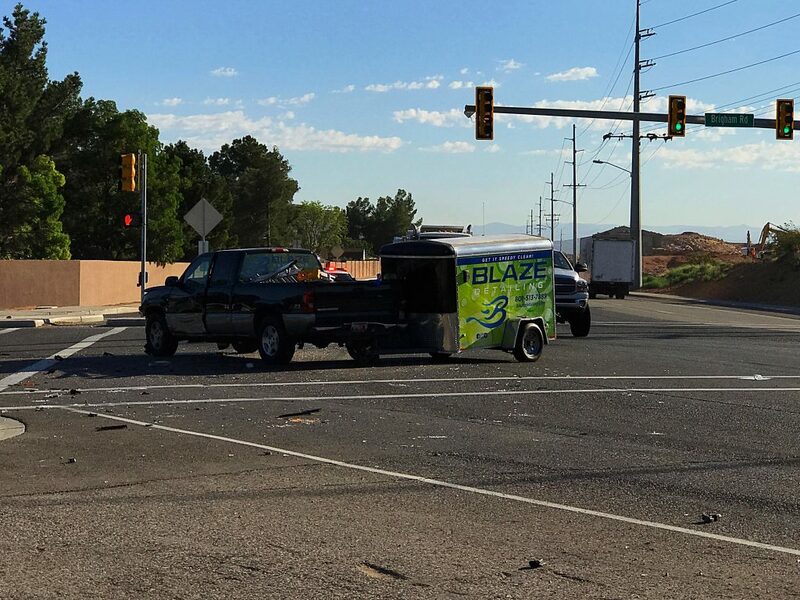 The teen was issued a citation failure to yield on a left turn, Trombley said. 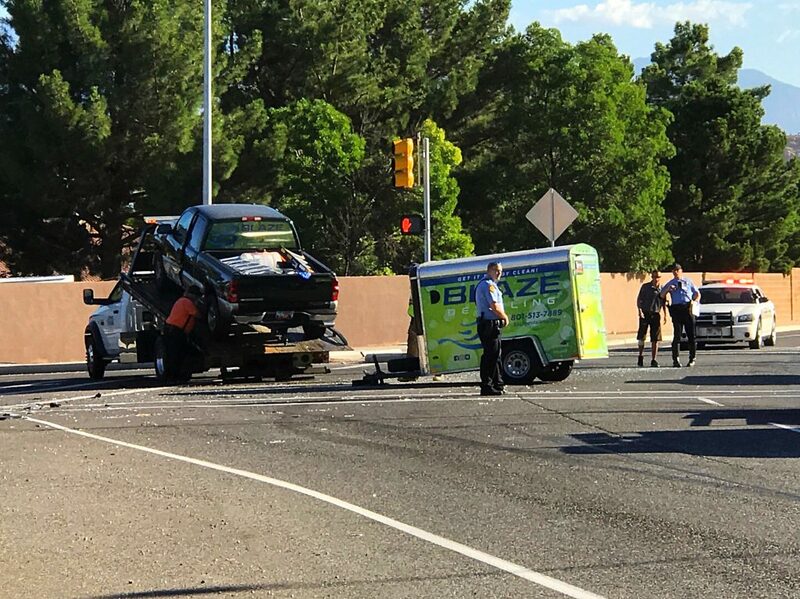 I have said this before but it is so important to recognize the value of the photography that accompanies so many news articles. 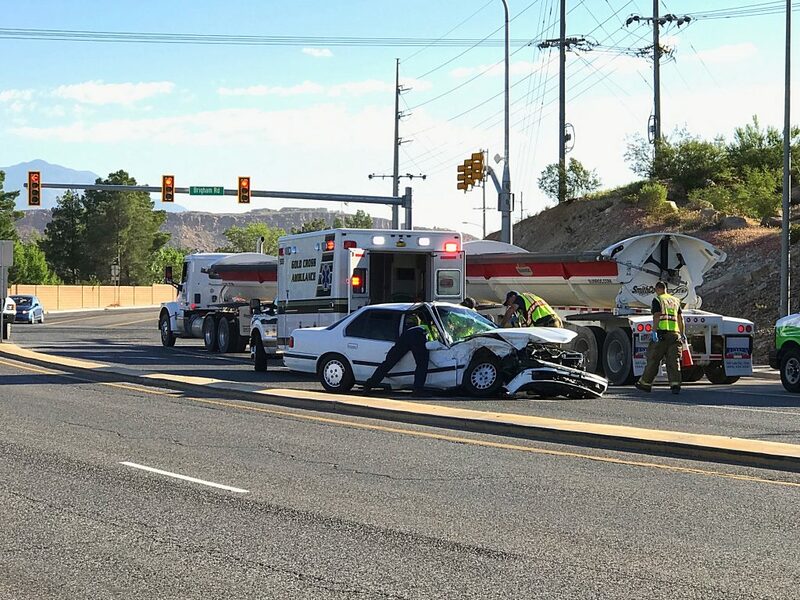 This is what makes St George News a living experience. I thank them for their time and devotion.